My parents happen to winter in a really great craigslist area. 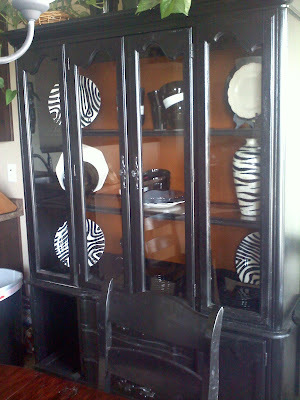 They have been able to find me all kinds of awesome furniture at great prices to furnish our new house. All the furniture was a ton of work but it was so worth the time and effort I had to put into it. This beauty was really rough when we got it. It had an awful texture on it. It was like the previous owners sprayed sand mixed with paint all over it. It was think. It was NASTY. It was not so much fun to remove. 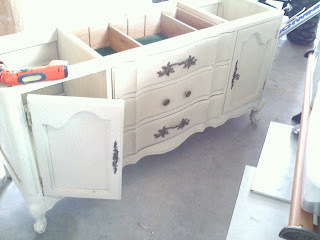 I did use my favorite citrus paint remover (its non toxic) to remove the layers and layers of nastiness. 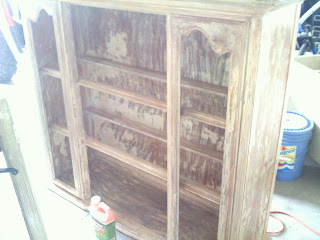 I haven't finished the cupboard yet...the doors on the bottom needed new hinges. 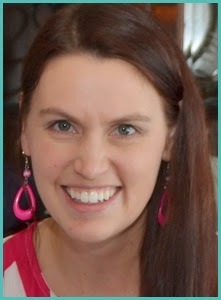 The only hinges I could find didn't have the right holes. 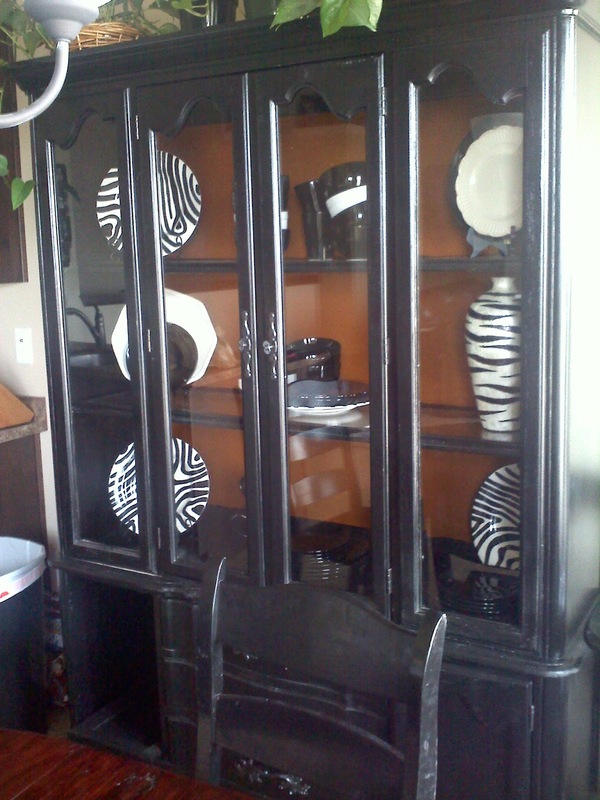 So I need to get that fixed and then it will be a 100% new to me awesomely fun china hutch!